Green Brook, NJ - March, 2015 - Pretty Ugly™, LLC is excited to announce UGLYDOLL Fathead wall graphics collection is now live on Fathead.com. Fathead is the leading brand of officially licensed graphics and more. "We are thrilled to be working with Fathead on this fantastic line of new UGLYDOLL decorative wall products, as we have been long time fans and customers of their brand," says David Horvath, Creator, UGLYDOLL. "We are especially pleased as both companies have reinforced the importance of self-expression. UGLYDOLL embodies never hiding who you really are or changing things about you inside or out just to fit in, but we're also really just thrilled to finally be able to stick a giant Uglyverse up on our wall, and I intend to be in line with the millions of UGLYDOLL fans around the world who will no doubt jump for joy over this collaborative effort." Pretty Ugly, LLC. and Warner Bros. Consumer Products announced today that they have entered into a co-branded collaboration to create plush based on The Wizard of Oz™ and UGLYDOLL™ characters. NEW YORK, June, 2014 -- Green Brook, NJ -- Pretty Ugly, LLC. and Warner Bros. Consumer Products announced today that they have entered into a co-branded collaboration to create plush based on The Wizard of Oz™and UGLYDOLL characters. 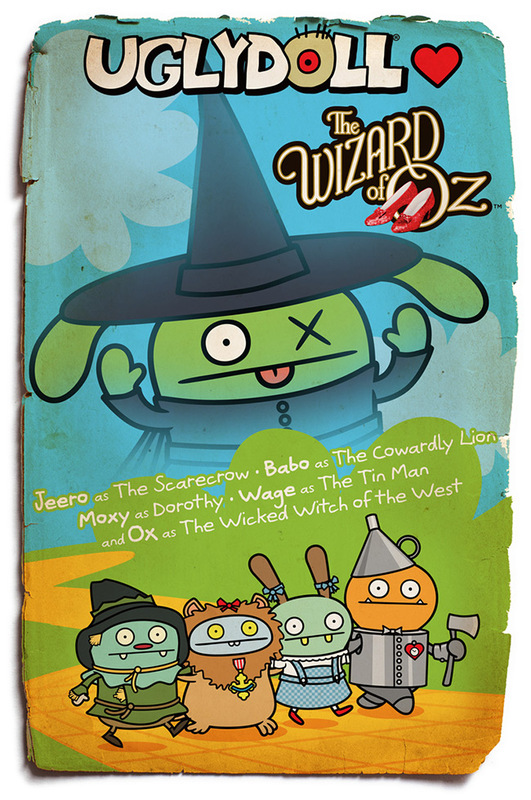 Fan-favorite UGLYDOLL characters, Moxy™, Wage™, Jeero™, Babo™ and OX™ are all dressed upandready to follow along the Yellow Brick Road as iconic characters from The Wizard of Oz. "Uglydoll is honored to collaborate with such an iconic brand during its 75th anniversary celebration. The Wizard of Oz has been a family favorite of ours for years," said Drew Matilsky, Pretty Ugly's Managing Partner. 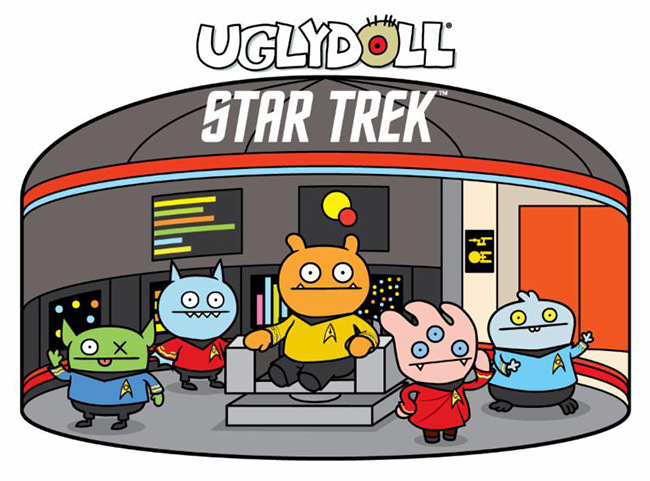 Green Brook, NJ - June 11, 2014 - Pretty Ugly, LLC™ has teamed with CBS Consumer Products for its newest collaboration with the iconic STAR TREK characters, set to launch in 2015. Products will include Wage™ as Captain James T. Kirk, Ox™ as first officer Spock™, Ice-Bat™ as chief engineer Scotty, Babo™ as Doctor McCoy and Tray™ as communications officer Uhura. "We are honored to explore the Final Frontier with STAR TREK. This renowned series is nothing short of legendary- it's the perfect extension for the UGLYDOLL brand," says Drew Matilsky, Pretty Ugly's Managing Partner. "Ugly is the new Beautiful!" This has been Uglydoll's mantra since its inception 13 years ago. The notion of embracing one's individuality has led to its success in becoming an award-winning brand. The Uglydoll property includes a fully integrated licensing program. 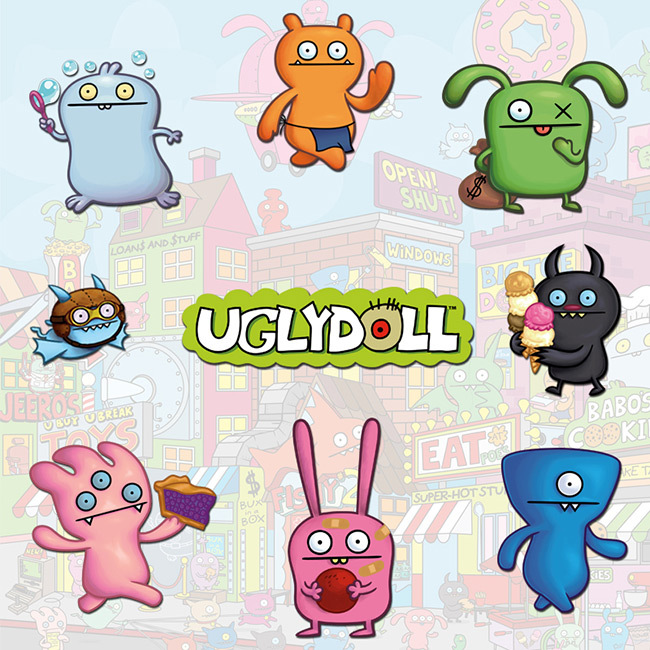 December 2013 - UglyDoll is having an online promotion good through December 15th... use code Holiday15 to save 15% at their web site. Hats and watches have their own code, good for 20% off: HW20. July 2013 -- Pretty Ugly has teased some of their 2013 San Diego Comic-Con International convention exclusives with this image. 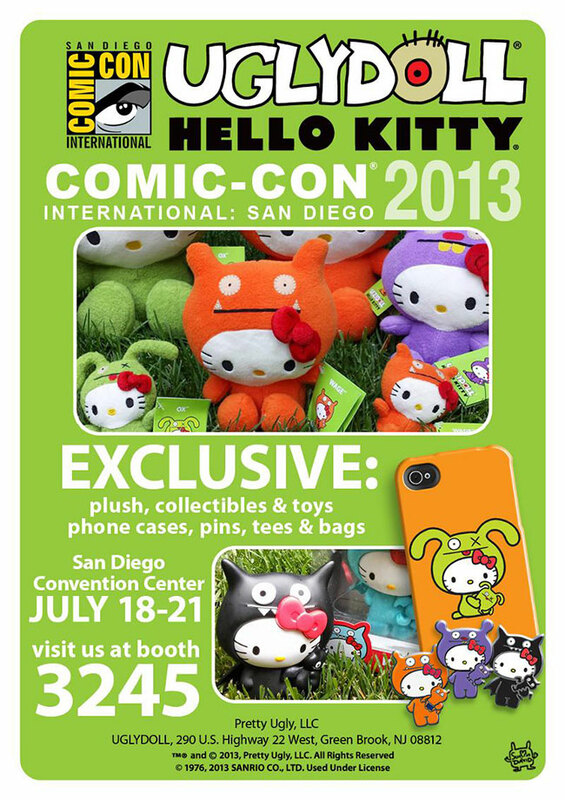 It looks like a lot of goodies featuring their Uglydoll crossover with Hello Kitty! TORRANCE, Calif., July 9, 2013 -- Sanrio will make its official debut appearance at Comic-Con International in San Diego July 18th-21st, with Hello Kitty Fashion Music Wonderland, an interactive experience that will brilliantly bring Japan's energetic pop culture to life. Fans will be treated to a colorful, anime-rich experience that will include giveaways, limited edition products, appearances by Hello Kitty and special guests from Sanrio's Tokyo headquarters, as well as the launch of a new graphic novel, Hello Kitty Fashion Music Wonderland. While Hello Kitty has appeared with partners and collaborators at Comic-Con in the past, 2013 marks the first year that Sanrio is bringing an interactive Hello Kitty fan experience to this famous gathering. Blending the worlds of anime, cosplay, product exclusives, Japanese street culture and superfandom, Hello Kitty Fashion Music Wonderland syncs perfectly with the passionate fan culture that is celebrated at Comic-Con. The Award-Winning Distinctive Plush Toy Characters Define The "New Beautiful" And Come To Life In A New All-ages Full-Color Graphic Novel Series Launching Across North America In July! San Francisco, CA, July 1, 2013 - VIZ Media, LLC (VIZ Media), the largest publisher, distributor and licensor of manga and anime in North America, delivers a fresh dose of all-ages fun as it announces the July 2nd launch of the UGLYDOLL original graphic novel series. 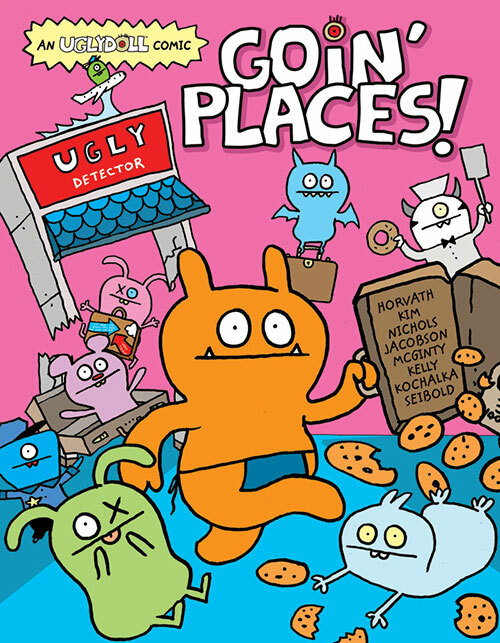 UGLYDOLL: GOIN' PLACES! will be published by VIZ Media, is rated 'A' for All Ages and will carry an MSRP of $7.99 U.S. / $9.99 CAN. VIZ Media's UGLYDOLL graphic novel series is a first for Wage™, Babo™, OX™, Ice-Bat™ and their friends. In the series, they'll take readers on a colorful journey through the Uglyverse™, where "ugly" means unique and celebrating who you are is the new beautiful. 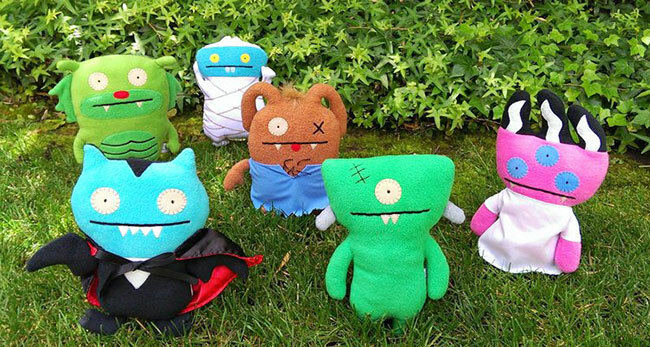 June 19, 2013 -- Green Brook, NJ -- Pretty Ugly™, LLC, the official licensors of the popular UGLYDOLL® brand, has partnered with Universal Partnerships & Licensing to develop an all-new series of UGLYDOLL plush dolls based on the Universal Monsters. The Universal Monsters are some of the most iconic characters in cinematic history and have a rich history that spans the past 80 years with a fan base in the millions. The Universal Monsters series of dolls will make their retail debut Halloween 2013. "The creators of UGLYDOLL have had a lifelong interest in the mythology of the Universal Monsters - they actually named their first child after a character from Dracula," said Alita Friedman, Chief Brand Officer, Pretty Ugly. "We are thrilled to be working with Universal, and to be offering these collaborations in time for Halloween." 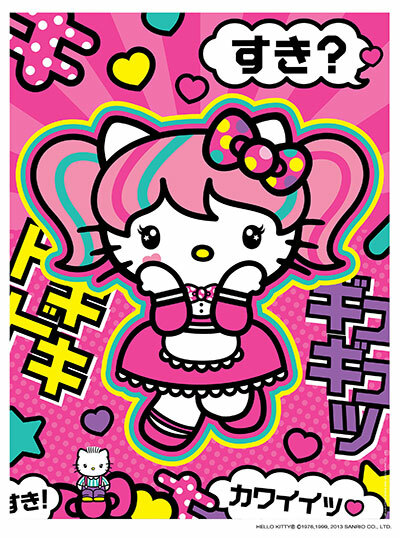 June 10, 2013 -- Green Brook, NJ -- Sanrio, Inc. the global lifestyle brand best known for pop icon, Hello Kitty, has announced a partnership with Pretty Ugly, LLC, owner of Uglydoll, to create global, co-branded collaboration with Hello Kitty and Uglydoll characters. Uglydoll's unique aesthetic, famous for defining 'ugly' as distinctive and unique, will be combined with the iconic style of Hello Kitty to create a selection of limited-edition collectibles.